Not a gig, but this little girl needed drawing. She was so amazing! She led the chanting for hours. 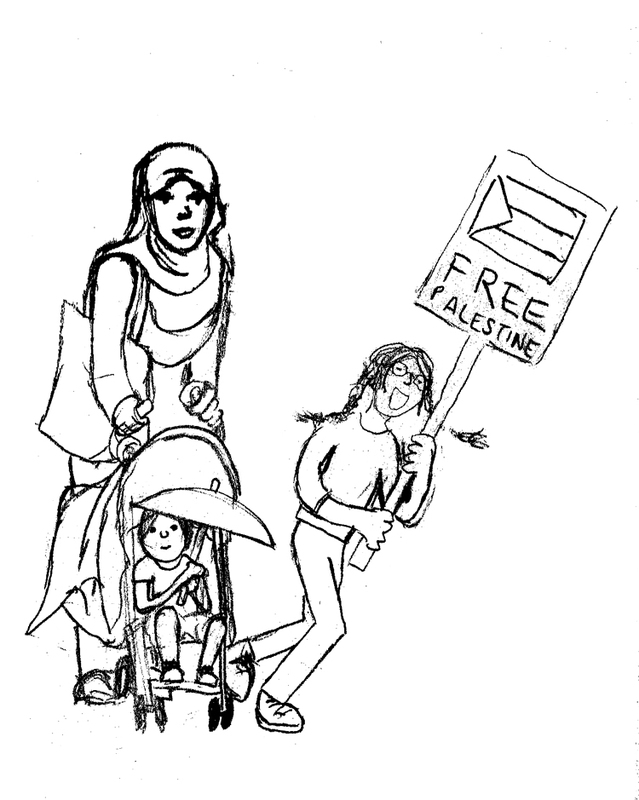 Her strong clear voice shouting “FREE FREE PALESTINE!”. It was a massive march from Downing Street to the Israeli Embassy. Thousands of people of all kinds & colours demonstrating against the murder of children in Gaza. It was a boiling hot day, and many of the Muslims were fasting for Ramadan. We arrived late (due to Sleaford Mods the night before), but caught up with the march half way through.